For a long time now, there has been a debate regarding the status of the XRP token. After the SEC established that Ethereum and Bitcoin are not securities, many in the industry assumed that XRP was not mentioned because it shares some features with security assets. In fact, the regulatory uncertainty surrounding XRP is part of the reason why CoinBase, one of the leading cryptocurrency exchanges in the world, has decided to hold off on listing the third largest cryptocurrency per market capitalization. 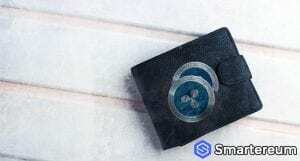 Recently, the Chief Marketing Strategist at Ripple, Cory Johnson, said that the XRP token isn’t a security and the SEC will verify this soon. While his words were meant to be reassuring to investors. A confirmation by the SEC is the only thing that can put investors at peace. This is because when a cryptocurrency is classified as a security, it will fall under the jurisdiction of the regulators making it a closed asset. The concept of decentralization will be useless in this case and investors will prefer not to put their money into such a cryptocurrency. “We know for a certainty that XRP isn’t a security. The kind of relationship Ripple has with XRP is full proof that it is independent. Most importantly, you’ve also got XRP. No matter how many XRP tokens you buy, you don’t have a right to share in the company’s earnings per dividend or share. Buying XRP gives you no stake in the company”. “For this reason. I believe the SEC will consider this. We know they will recognize this fact declare that XRP is not a security”. “There will always be crooks who try to steal money especially when a new technology emerges. We see this in everything. It’s atomic energy. Same thing we saw in the oil & gas sector. It also happened during the emergence of dot.com. So, it isn’t surprising to see it in cryptocurrency. This is why the SEC has decided to step in to provide protection for investors worldwide. However, it’s also making things difficult for people who are legitimate”. Main while, at the time of writing, the XRP token was trading at 0.461205. This shows that while it is up by 0.22% against the USD, it is down by 0.64% against Bitcoin. Over a 24 hour period, the trading volume is $247,195,777 while the market capitalization is $18,447,126,417. The XRP token has a circulating supply of 39,997,634,397 which is still a long way from its total supply of 99,991,817,275.